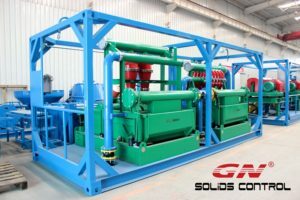 GN solids control shipped one unit of compact solids removal unit to our international client for core drilling in mining industry. This is the 3rd unit of solids removal unit in that area since the last shipment in July, 2015. The client who bought 2 units of solids removal units gave us some feedback and suggestion, we welcome our customers to give us comments to improve ourselves. We made some amendment and improvements according to their suggestions. The updated design of solids removal unit is more compact compared with before, the complete design is only 2800x2100x2477mm， which can be shipped by 20ft standard container for sea freight. The 7.5HP centrifugal pump is as a multi function pump for both feeding the centrifuge and mixing. This is to save area and cost for the total unit. The special designed return back pipelines is considering the flow rate of 7.5HP centrifugal pump is bigger than the mini decanter centrifuge treating capacity, if feeding too much, the centrifuge will be easily blocked, the excess fluids should be return back to the mud tank by pipelines. 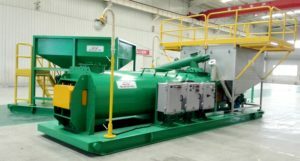 The stainless steel material mixing hopper is to prevent the hopper from corrosion. The mini decanter centrifuge is the specialized model for core drilling waste water cleaning, because the water cost is very expensive, by using GN solids removal unit, the client can save lots of water consumption and save drilling cost. The 2 panel shale shaker is a mini equipments for the 1st phase cleaning of solids removal, the treating capacity is much bigger than the decanter centrifuge, because there might be a lot of big cuttings from the core drilling , which will damage the centrifuge and influence the performance of the centrifuge, so the 1st phase cleaning is very important. 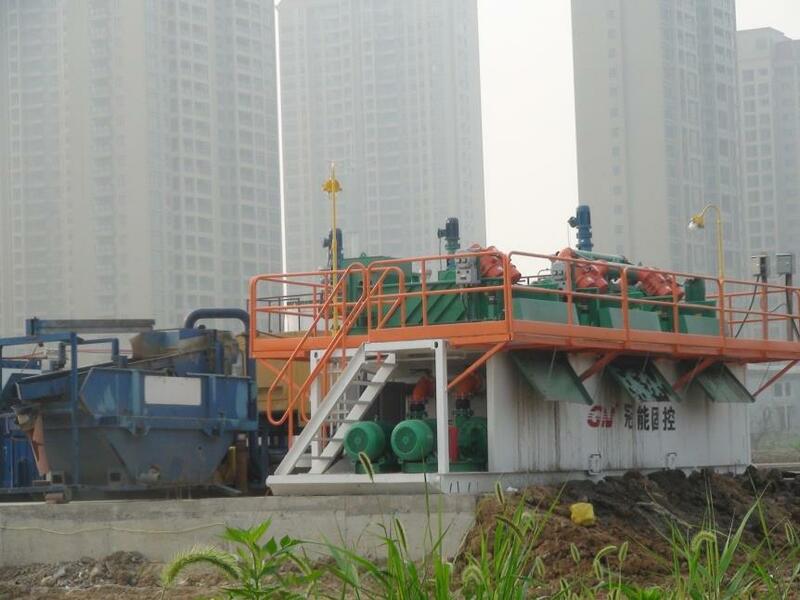 For more information of GN compact solids removal unit, pls contact with GN solids control. 4) Reduce the drilling waste and only a small mud pit is required in the site, especially for some countries which have strict low for the drilling wells and drilling waste disposal, a mud recycling system can reduce the waste volume and make it easier to treat the waste properly. 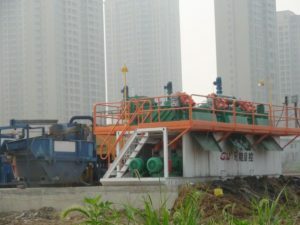 At the beginning it is hard to convince the client who never used such mud recycling system for HDD projects to use it, he may ask why I should invest so much money for the mud recycling system. I can just leave it in the mud pit, it will be useless for me, etc. We have to show the client the successful case study of their competitors who began to use mud recycling system, they did job perfectly and fastly, the investment will be changed to profits in the future. GN solids control provide mud recycling system for HDD machines Vermeer, drillto, America Auger, etc. 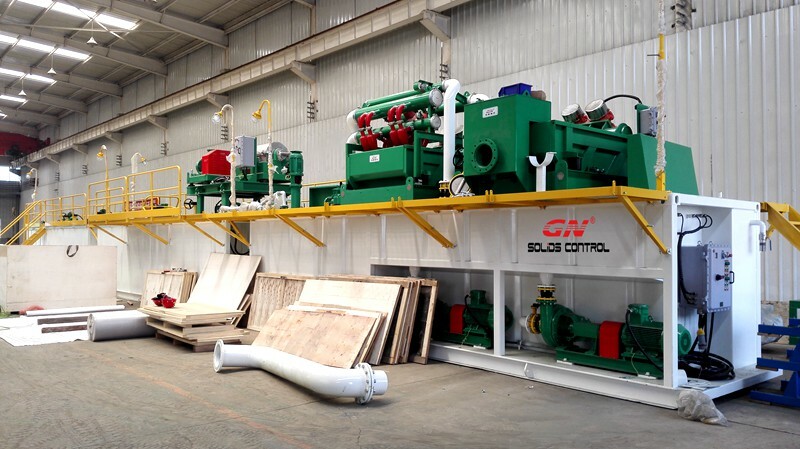 We have different treating capacity design for options, 200gpm, 300gpm, 500gpm, 800gpm, 1000gpm, each mud recycling system with different storage capacity. The mud mixer could be included. 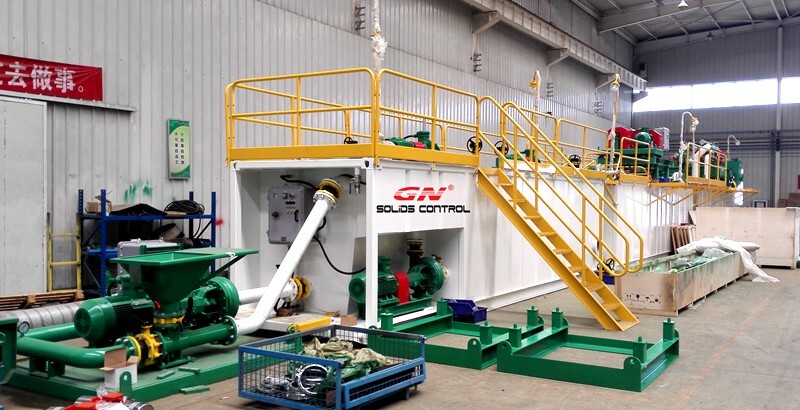 Gn solid control is the most cutting-edge technology, solids control equipment manufacturer in China, which produces the decanter centrifuge has been approval by the largest oil giant enterprises of domestic and international companies. In the just-concluded 2016 CIPPE oil show, GN solids control display different series of the centrifuge, series of small decanter centrifuge from 220 to 550 mm of big drum centrifuge, lined up at the scene of the exhibition, has made a lot of audience attention to end users. 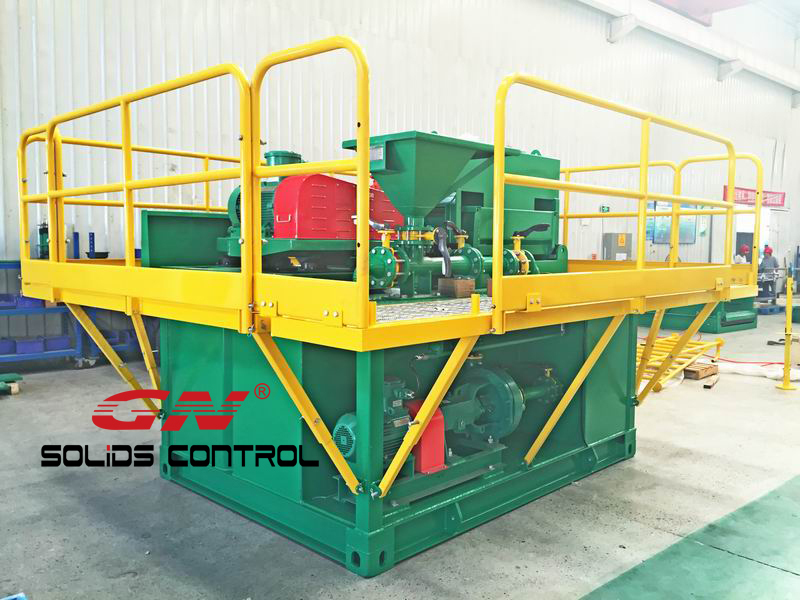 Especially model GNLW363 decanter centrifuge, both in the appearance of the old version and the new design was shown in the CIPPE 2016 booths, so what is the difference of GNLW363 decanter centrifuge new generation?The following simple statements. 1, the first generation of GNLW363, originally designed for 360 mm horizontal spiral sedimentation centrifuge, in this two motor, one is main motor ,another is a auxiliary, respectively installed on both ends of the centrifuge.Though, it is with the highest level of materials, the design concept of the centrifuge is basically the same with other domestic counterparts of the old. 2, the second generation GNLW363B, more international, with GN solid control has sold the products in many countries and regions of the world, as well as the champions league to the product design is becoming more and more internationalized, GNLW363B horizontal screw centrifuge before the two motor position has a into one end is at each end of the two, mainly is to increase the operator have more space and centrifuges operating characteristics of easy to maintain, stable operation. 3, the third generation GNLW363C sedimentation centrifuge, in addition to the basic drilling mud solid control can also be used for oilfield drilling waste management pulp processing, it is similar to GNLW363B, two motor on one side.But on the other details GNLW363C also has a better update on structure, structure, based on the B version upgrade C version of the centrifuge and been used in many fields.Such as sludge separation, flocculation and dewatering unit, waste pulp processing, etc., with the user feedback, after upgrade C version of the centrifuge in use process compared to B version, processing capacity increased by 50%, continuity of operations, rugged conditions objection to adapt.